We can add marshmallows to the list of things that I'll probably never bother to make myself (although if you fancy it, we have a very simple marshmallow recipe). 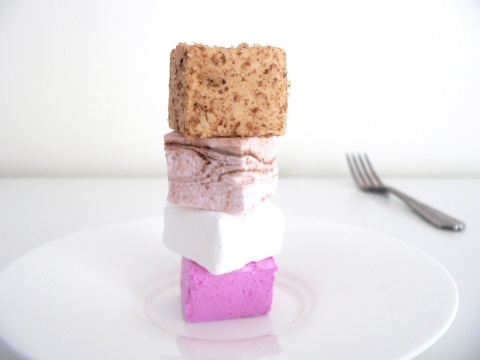 I see marshmallows as a quick sugar fix. I don't eat them often, but then I eat seventy in ten minutes and feel a bit sick all night. The brilliant kind of sugar sick where you're half grossed out and half really happy that you feel so rough. Why am I telling you this? 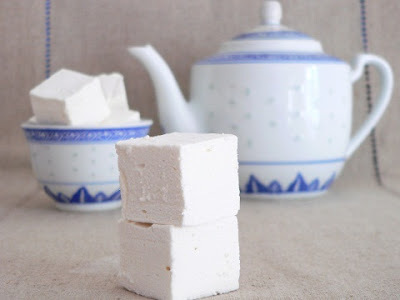 Because I've found a gorgeous little bakery in Edinburgh who make fancy marshmallows and send them to you in the post. Zukr Boutique don't just do pink and white, you've got amazing choices - jasmine, mango, even cherry chocolate. I don't know about you, but I really want to try apricot saffron marshmallows. They're just so pretty. You get ten (massive) marshmallows in a pack and each pack is £4. There's even a marshmallow club! Brilliant. I suggest trying to coincide your Love Film deliveries and always having a supply of hot chocolate. Zukr Boutique actually do all sorts of sweet treats (how gorge do these raspberry jellies look? 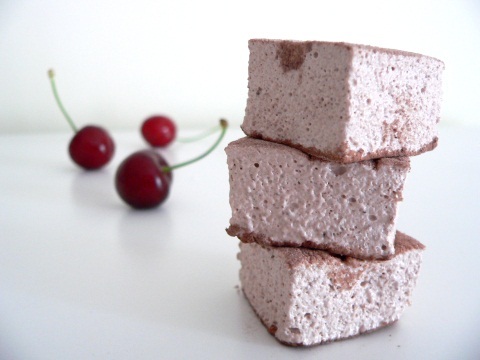 ), but I've never had marshmallows in the post and I've never seen them this pretty or interesting. I want to try every flavour. Eat them on their own, or make the fanciest hot chocolate in the world. Am I not Queen of Domestic Sluts already? DAMN. Thanks so much this is absolutely amazing!! You're welcome! Marshmallow club sounds truly excellent. Thanks :) we've only introduced this option recently and we have several running already. It's really great value for money too I think. For those marshmallow loving vegetarians among us, I've emailed to ask if they use aninimal gelatine or not. I'm gutted, its animal, but Maggie who emailed sounded really nice, I bet you she gets to "test" the mis-shapes! Get you, doing our research for us! Maybe they'll move into veggie ones soon! Can we have some of your fudge please? I was never fussed about marshmallows until last weekend when I tried someones homemade ones, they were a bit of a revelation,miles away from those crappy ones you get from the supermarket! 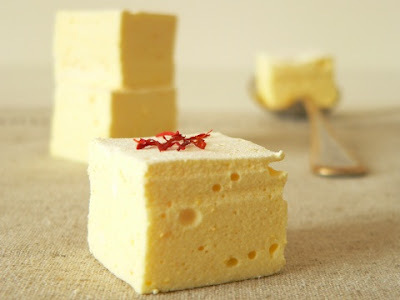 Totally hot for these, apricot saffron marshmallow? HELLO! This is wonderful information! The apricot saffron ones and the jasmine are very tempting! Super value too! She's doing our wedding favours too!! Excited much?! 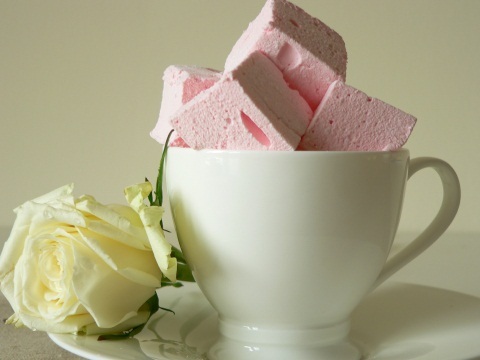 There is a new company on twitter called Fluffy Puff Puffs, their marshmallows look amazing! Has anyone tried it yet?